Långt ihopsnurrat surt band med supergod melonsmak. Den säljande displayen innehåller 40st ihoprullade inslagna mumsiga rullar. Long extra sour candy belt with great melon flavor. 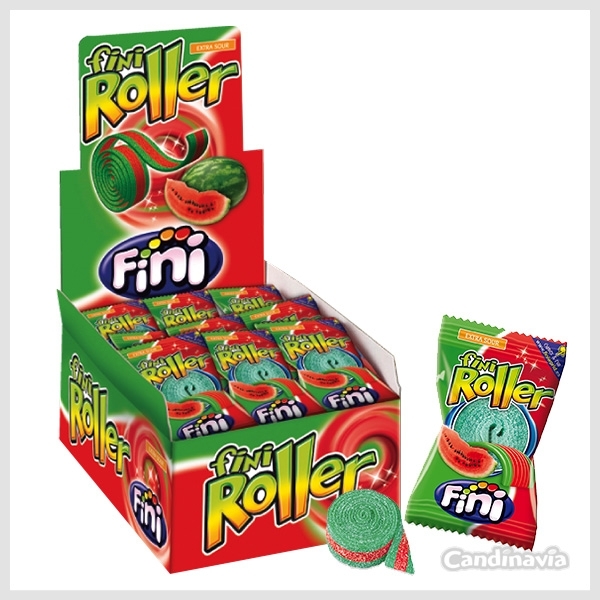 The displaybox contains 40 Melon Rollers individually wrapped and rolled up.